This is my monthly summary of my free software related activities. If you’re among the people who made a donation to support my work (70 €, thanks everybody! ), then you can learn how I spent your money. Otherwise it’s just an interesting status update on my various projects. Spanish translation completed. The Spanish team finished the translation of the book. The PDF build process was not yet ready to build translations so I had to fix this. At the same time, I also improved the mobipocket build script to make use of Amazon’s kindlegen when available (since Amazon now requires the use of this tool to generate Mobipocket files that can be distributed on their platform). Once those issues were sorted I made some promotion of this first completed translation because they really deserve some big kudos ! Plans for the French translation. 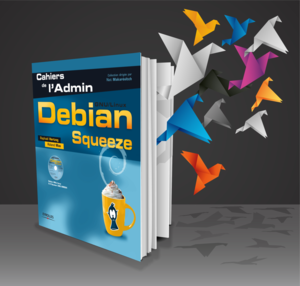 You know that the Debian Administrator’s Handbook came to life as a translation of the French book “Cahier de l’Admin Debian” (published by Eyrolles). This means that we currently have a free translation of a proprietary book. It’s a bid of an odd situation that I always wanted to fix. 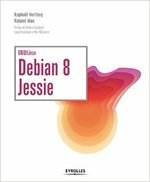 I discussed with Eyrolles to find out how we could publish the original book under the same licenses that we picked for the English book… and the result is that we setup a new crowdfunding campaign to liberate the French book and then make it an official French translation of the Debian Administrator’s Handbook. Read the rest and support us on the ulule project page (a kickstarter like for people who are not based in the US). I updated our membership management application (galette) to version 0.7.4.1 with numerous bug fixes but the true highlight this month was “Solutions Libres et Opensource”, a tradeshow in Paris where Tanguy Ortolo, me, and other volunteers (Cédric Boutillier, Arnaud G., and some that I have forgotten, thanks to them! 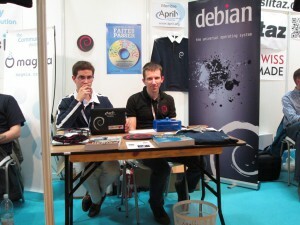 ), held a Debian booth for two consecutive days (May 28-29). For once we had lots of goodies to sell (buffs, mouse pad, polos, stickers, etc.) and the booth was very well attended. 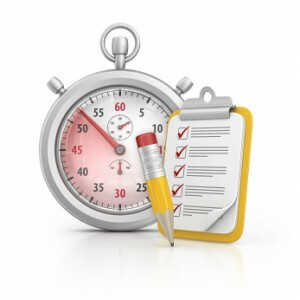 Last month I was rater overwhelmed with queries from students who were interested in applying for the “Package Tracking System Rewrite” project that I offered to mentor as part of Google’s Summer of Code. In the end, I got 6 good student applications that Stefano and me evaluated. We selected Marko Lalic. The “Community Bonding Period” is just starting and we’re fleshing out details on how we will organize the work. We’ll try to use the IRC channel #debian-qa on OFTC for questions and answers and weekly meetings. I packaged zim 0.60 and with the release of Wheezy, I uploaded to unstable all the packages that I staged in experimental (cpputest, publican). I sponsored the upload of libmicrohttpd 0.9.27-1. I filed a couple of bug reports that I experienced with the upcoming dpkg 1.17.0 (#709172, #709009). In both cases, the package was using a wrongly hardcoded path to dpkg-divert (the binary moved from /usr/sbin/ to /usr/bin/ a while ago and the compatibility symlink is dropped now). I also dealt with #709064 where the user reported upgrade issues related to multiarch. I also filed an upstream bug report on publican to request some way to avoid so much duplication of files (actually I filed it as a response to the Debian bug #708705 that I received). I had to update OpenVAS for Kali but some parts failed to build in a Debian 7 environment. I diagnosed the problem and submitted a patch upstream. I also got in touch with the Debian OpenVAS maintainer as I wanted to contribute the package back to Debian, but timing issues have pushed this back for a little longer. Sorry to trouble! But I stumbled on your web site when looking for something. Then, I saw the article about Sam Hartman and his photo. I knew, Sam and his father Joe Hartman, while at IBM in Austin, TX in the 1990s. Sam was an Engineering Student Apprentice at IBM, Austin. I was an Engineer at IBM. I do not know if Sam will remember me but I would like to say hellow to him by e-mail. I would also like to know how his dad, Joe is doing? If not too much trouble to you will you kindly forward this note to Sam?